You are here: Home > Blog > Maintenance > Do You Know When it is Time to Replace Your Roof? A new roof is something many homeowners dread. It is one of the most expensive home repairs and if you aren’t prepared financially, it can easily put you in debt. Unfortunately, many homeowners don’t take the time to conduct or hire a professional for an inspection and you may not know it is time for a new roof until you discover a leak and it is too late. The length of time your roof lasts will depend on several factors. The type of materials used will play a significant role, as will the average climate and weather, regular maintenance, and more. For homeowners with asphalt shingle roofs, you can expect it to last approximately 20 years. For slate, tile, and copper roofs, you can expect significantly longer life expectancies — even up to 50 years. For homes with fiber cement shingles, the roof will last approximately 25 years. How Can I Tell if it is Time to Replace My Roof? There are several ways that you can determine if it is time for you to replace your roof. Here are just three of them. Each year, you should have an inspection completed on your roof. A professional will assess the roof for any damage that may have occurred during inclement weather throughout the year and look for areas where repairs may need to be made. This inspection is even more important if your roof is reaching the end of its life expectancy. If you find asphalt granules in your gutters, it is a sign that your shingles are deteriorating and you will need to replace your roof. Once you begin to notice these granules, it is time to hire a professional to evaluate the condition of the roof. If your home was built at the same time as all of your neighbors and they are receiving new roofs, it may be a sign that yours is ready as well. Or, if a large storm has struck your area and many homes in the neighborhood are in need of a new roof, yours may as well. Shop around for a quality roofing company as many may offer a free consultation or inspection. If multiple shingles have damage, it may be time for a roof replacement. Depending on the type of materials used and the last time roof repairs were made, it can determine if a new roof is needed or if just a new layer of shingles must be installed, etc. 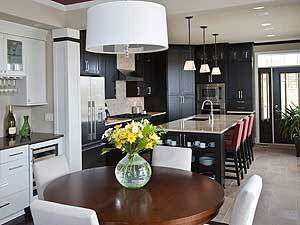 You will want to talk to a professional to determine the best option for your home. 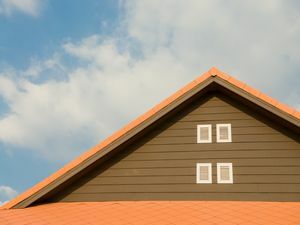 A new roof is a major selling point for home buyers and should not be something you procrastinate. If you are ready to sell your Collingwood home, contact real estate agent Christine Smith today.